In its weekly concert on Saturday 28 November, the Cairo Symphony Orchestra conducted by Nayer Nagui will perform work by Beethoven and Scriabin. 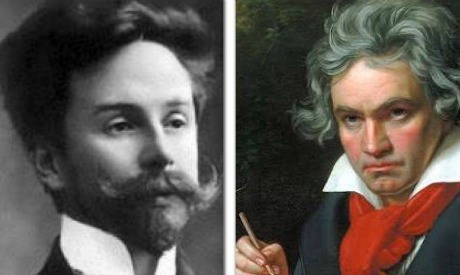 The evening will open with Beethoven's Piano Concerto No. 5 in E flat major op. 73 "Emperor," with the soloist Marouan Benabdallah from Morocco. Egypt's premiere of Alexander Scriabin's Symphony no. 2 will be the attraction of the second half of the concert. The concert is also a tribute to the whose death centenary falls in 2015. Alexander Nikolayevich Scriabin was born in 1872 and passed away in April 1915.